This photograph is an elevated view of the High Street and the row of shops include Favourites, Manorgrove and Currys. This entry was posted in Shopping and Commercial Premises, Stockton High Street by Picture Stockton Team. Bookmark the permalink. Was Mr Trim run by John Davidson, an old Tilery Road Boys lad? 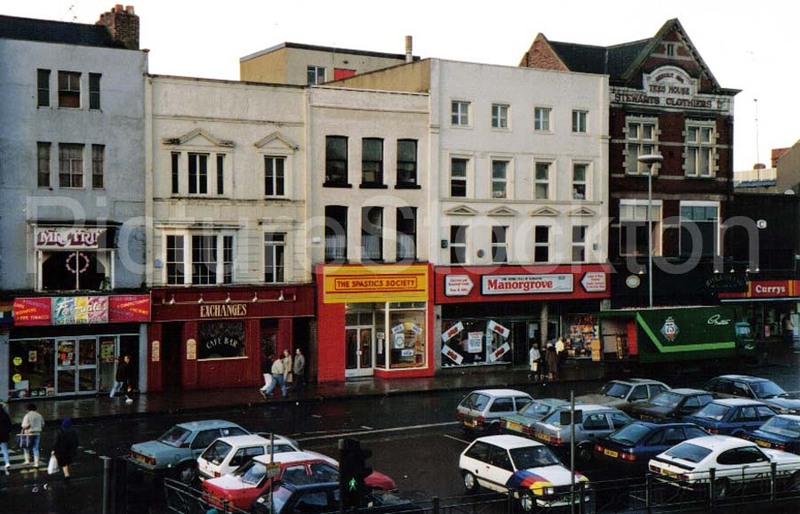 Also above the shop on the left there was the barbers – Mr Trim.